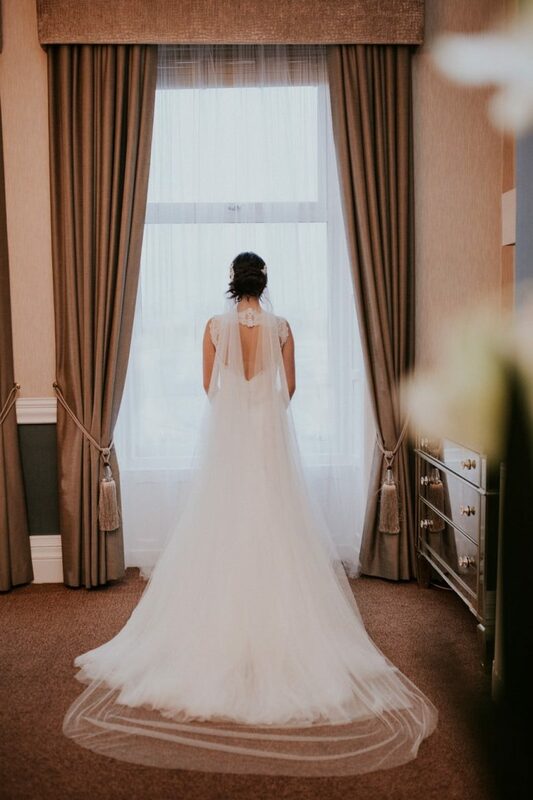 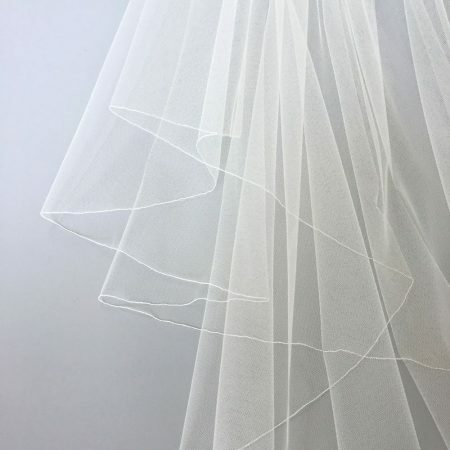 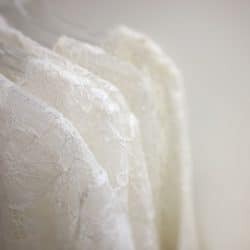 Diana is an elegant hand cut drape veil in our ivory Silk Effect tulle. 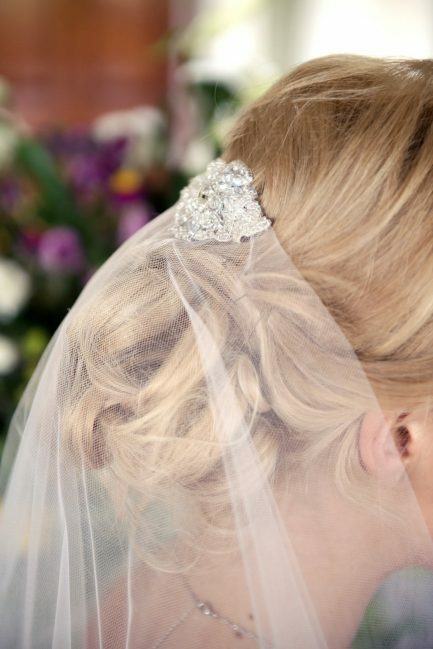 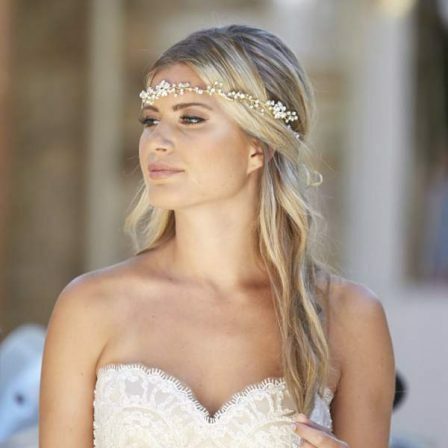 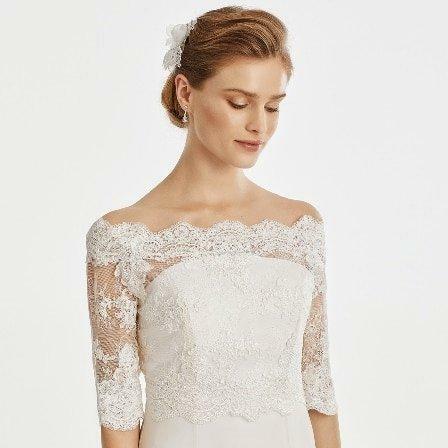 This single layer, chapel length veil features two side combs instead of one central one. 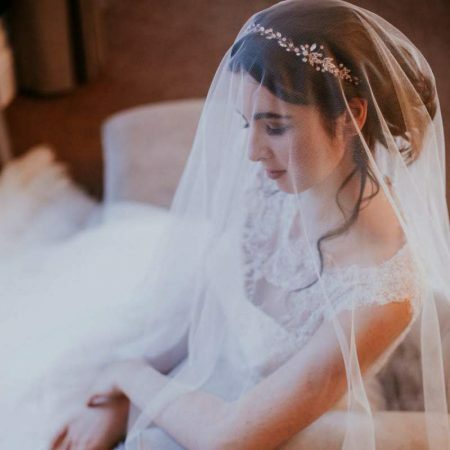 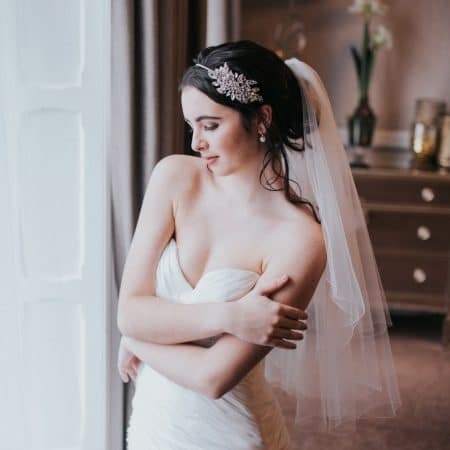 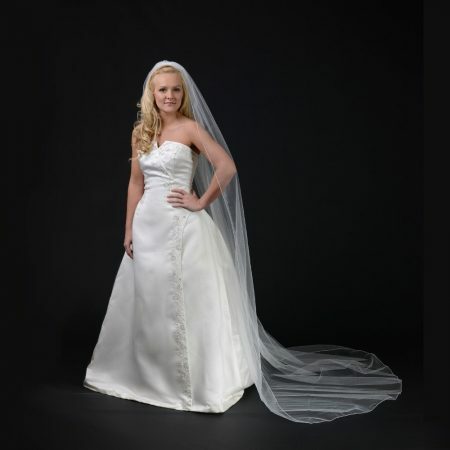 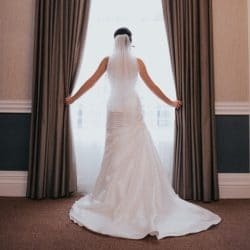 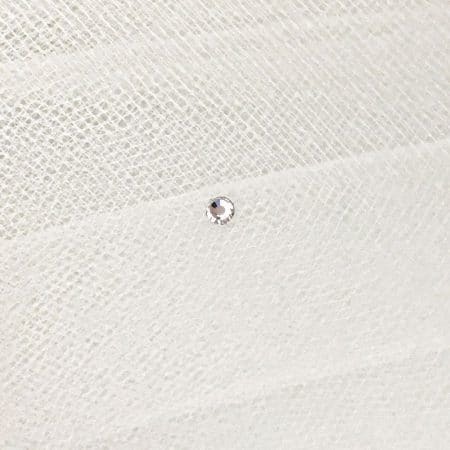 Diana is a beautiful single layer chapel length drape veil. 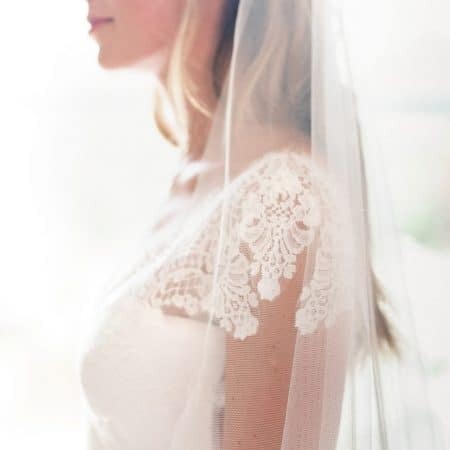 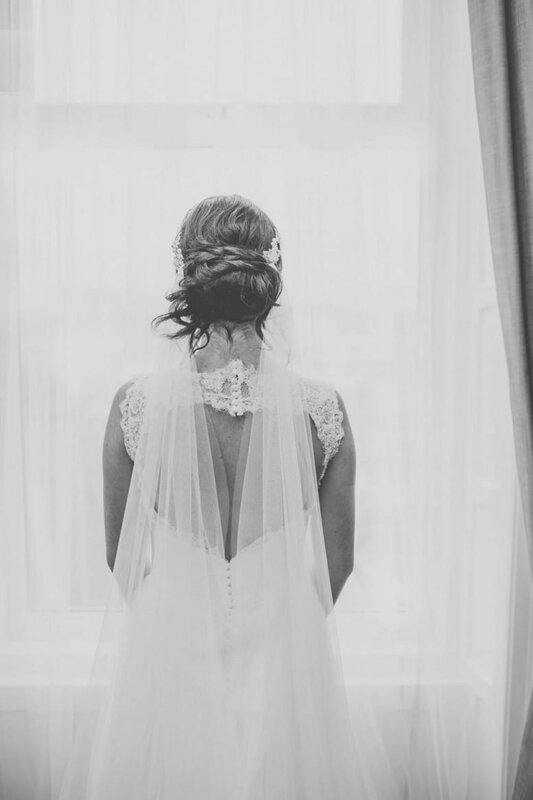 Drape veils are becoming increasingly popular once again. 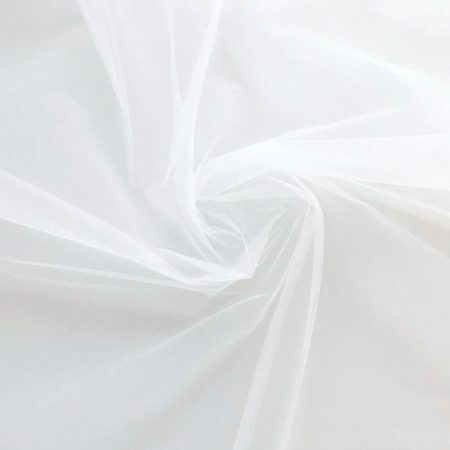 The design features two small combs worn on either side of the head instead of one in the centre, creating a drape in the back which is absolutely perfect for our new silk effect fabric as it drapes so beautifully. 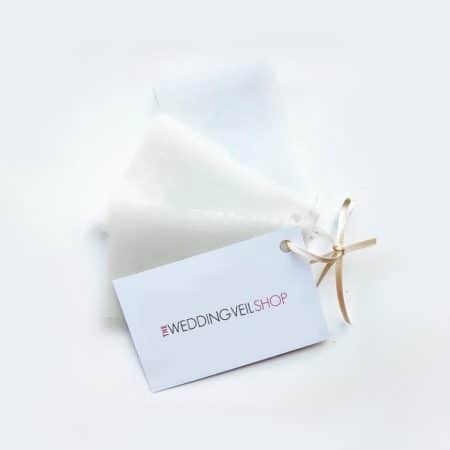 The veil does not come with the hair pins shown, but these are available separately and make a wonderful finish to the tops of the combs.